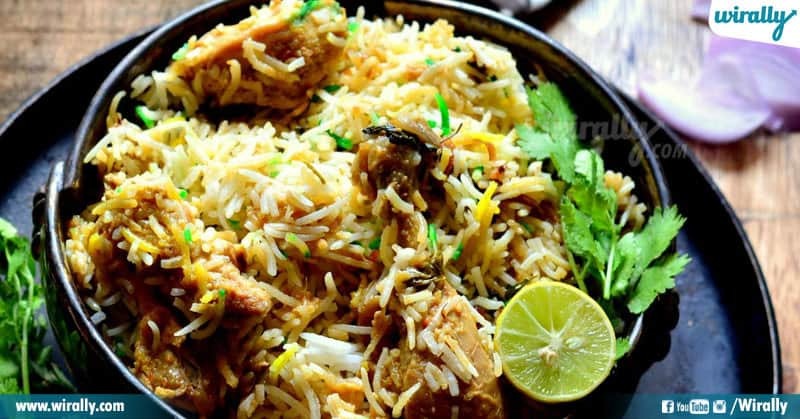 One of the most famous dishes that people go gaga over across the globe is Biryani and for Hyderabadies Biryani is not just a food item, it’s a feeling and emotion. 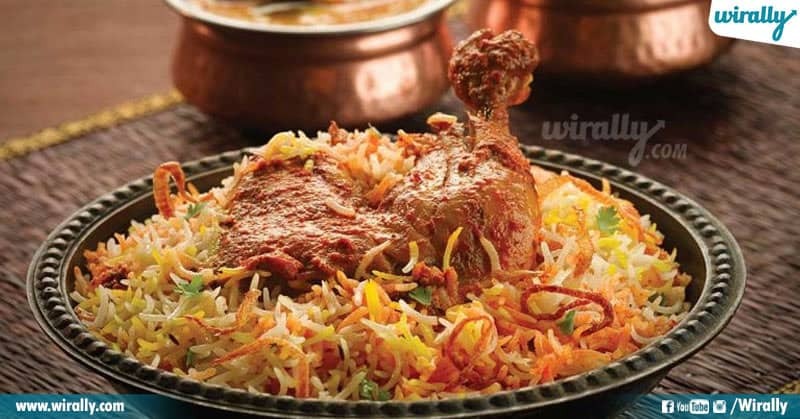 It’s believed that Hyderabad is the place where Biryani was originated from the kitchens of Nawabs. 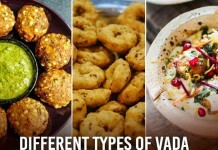 But now there are too many of verities of Biryani’s across India that serve people according to their taste buds and in this article, we are going to talk about these verities of Biryani’s that will make you feel hungry right away. Not many of us know but Hyderabadi Biryani has 2 types – Pakki which means cooked and it is cooked with Basmati rice and the meat used is cooked separately and then they are mixed and layered together. The other type of Biryani is Kacchi that means raw, it is made from the raw marinated meat of your choice. The Basmati rice is infused of onions, dry fruits, and saffron as the meat is placed between those layers and together it’s cooked slowly. While cooking this the in an earthen pot over charcoal fire the dish is sealed with a dough which helps the dish to seize the aroma and this is how the biryani has the aroma until it’s served. Calcutta Biryani goes back to the Awadhi style biryani of Lucknow yet starts from Kolkata. 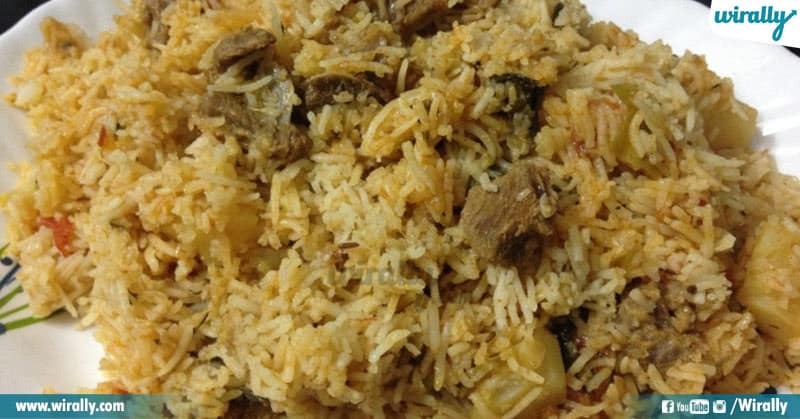 It is cooked with light yellow rice, which is layered with yogurt-based meat, delicate bubbled eggs and potatoes, it is characterized by inconspicuous flavors with a dash of sweetness.Added to that, saffron, nutmeg and Kewra, which gives a calming fragrance to the biryani. Lucknowi Biryani is unique because of its unique style of cooking known as Dum Pukht. 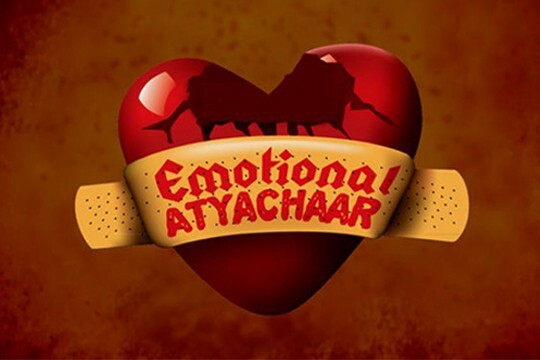 This Biryani is also known as ‘Awadhi Biryani’. The meat used in this is semi cooked separately from rice and the rice consists of saffron, cinnamon, and star anise flavors. After this, the semi-cooked meat and rice are mixed and layered in a handi. This dish gets its aroma depending on the duration of the cooking, it’s cooked for hours together that’s lets it absorb the flavors. Ambur Biryani stands out from all the other Biryani’s because of the cooking style of the meat. The meat mixed and drowned in curd which is then seasone with mint and coriander. 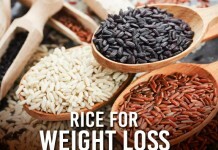 Then it is added to the SeeragaSambar rice that includes other spices as well. 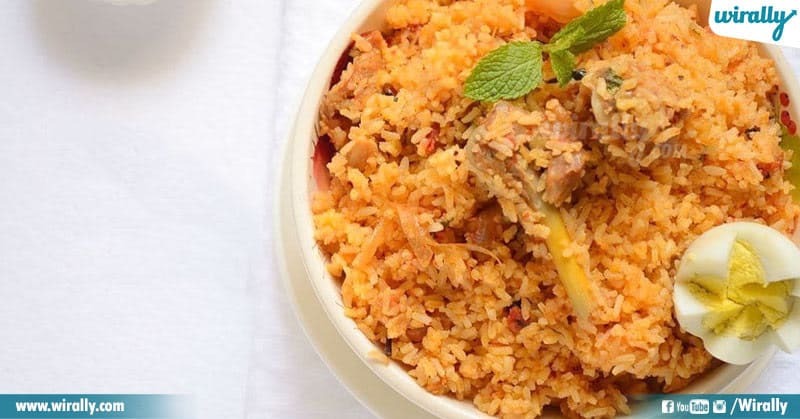 If you’re travelling to Tamil Nadu then you mustn’t miss out on tasting this Biryani. It can be served along with the Tamil style eggplant (Brinjal) curry or ennaikathirikait that could probably would make it spicy. This Biryani is originated from Kerala or call it the Malabar region. The taste of this Biryani has a mix of sweet and spice. 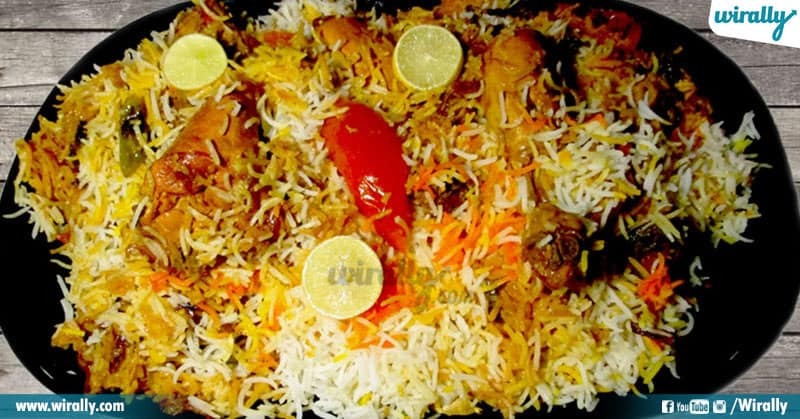 The variation of biryani in this region is as plentiful and diverse as the cultures and ethnic groups within. 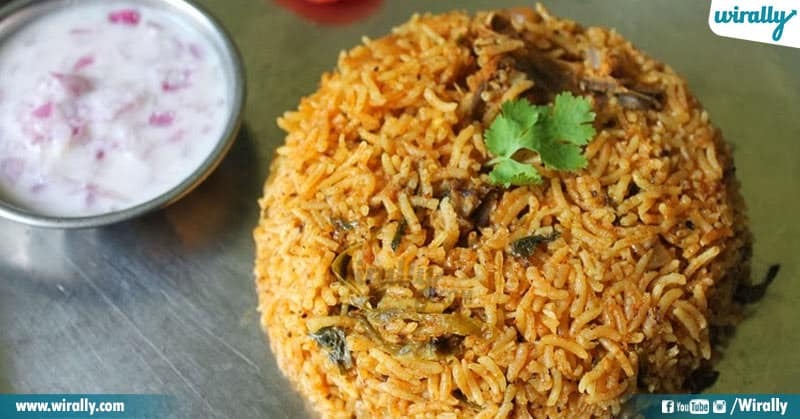 Unlike the usual Biryani’s that are made with Basmati rice, but Thalassery Biryani made using an indigenous variety of rice like Jeerakasala or Khyma. The Khyma (rice) is cooked separately from the meat and mixed together only at the time of serving. Other ingredients used in this biryani include Malabar spices, meat or chicken, fried onions, fennel seeds, sauteed cashews, and raisins. 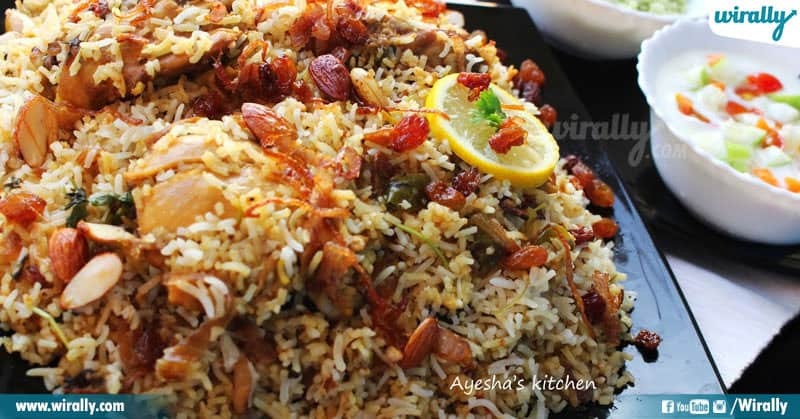 Sindhi Biryani is one of the most flavorful Biryani versions and also one of the spiciest Biryani variant. It is popularly known for the high amount of species it consists and it originates from Sindh part of Pakistan. The flavor of cinnamon, cardamom, bay leaves, and fresh mint just refreshes your month in the first bite of this flavorful Biryani. Bombay Biryani is a mix of all the Biryanis. It has a very aromatic and tangy flavor that makes the taste balancing. It comprises of Potato, chicken soup, spices, tomatoes and so many other ingredients that will make you drool over even while you’re eating it. So, it’s worth a trip to Mumbai for this toothsome Bombay Biryani. Dindigul Biryani is also known as thalappakatti Biryani which originates from Tamil Nadu. This is one of the popular Biryani’s that is found in many food joints across Tamil Nadu. The mixture of lemon and yogurt gives the Biryani a tangy flavor and this is mixed with the meat that is cut in the shape of cubes with Sambar rice. Along with the tangy flavor, it has a zesty flavor with is gained using a lot of pepper. Tehri is a sweet-smelling, veggie lover rice dish made in contrast to the biryani for the Nawabs of Awadh. 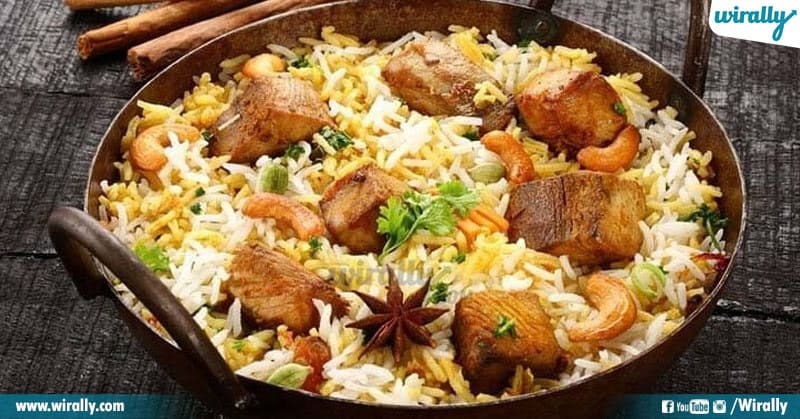 The heavenly one-pot supper that is additionally a help for Suhur amid the Ramadan quick.The Persians would let Tehri rice cook in salted water for a few hours with the goal that it would flicker like precious stones. Kalyani Biryani is said to have started from the Bidar city located in Karnataka state. This Biryani is mostly made using Buffalo meat and a lot of spices with coriander and tomatoes, even this Biryani has a tangy flavor. 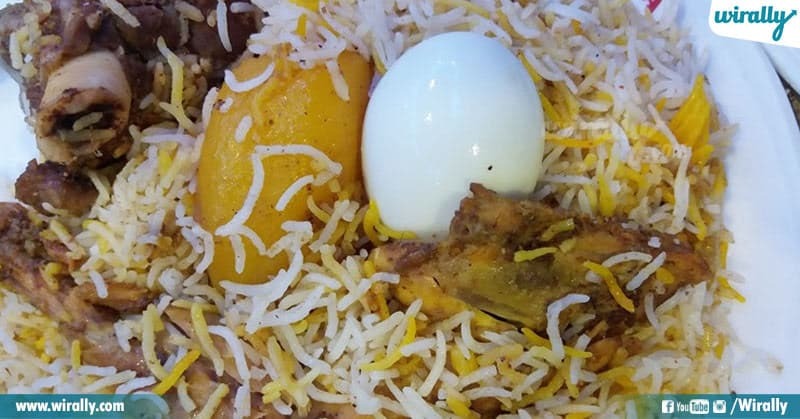 Kalyani Biryani is also known as ‘Poor man’s Hyderabadi Biryani’. Despite the fact that it doesn’t have fixings like the mainstream Hyderabadi biryani, the taste, and lovely smell continue as before. 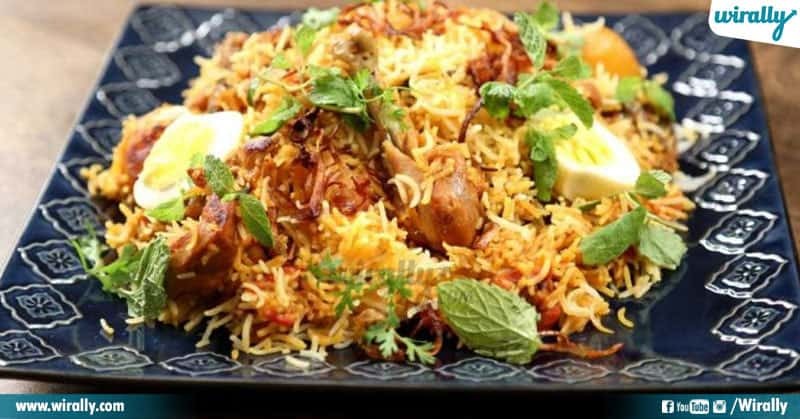 After getting to know so much about these 10 Biryani’s that you probably did not know existed, it time for a trip to try out these tangy, spicy and flavorful Biryanis from across the country. Two minutes of silence for those who do not enjoy Biryani but nothing wrong in it because the grass is always greener on the other side.